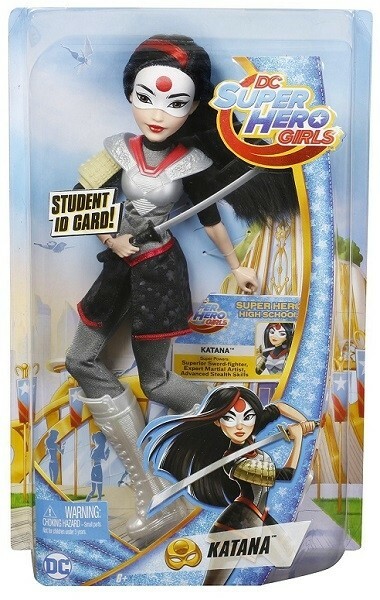 Unleash your power and explore your inner Super Hero with DC Super Hero Girls Katana action doll! 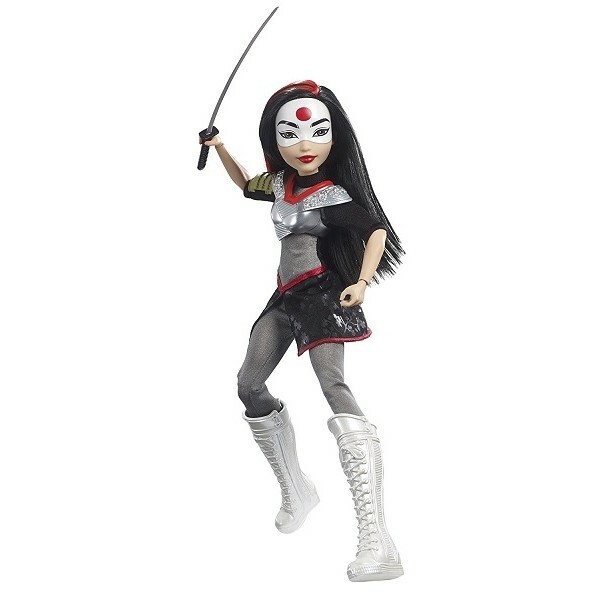 She wears an outfit that blends the iconic elements of her original DC Super Hero character -- a warrior-style look pairing a gray, black and red tunic with gray leggings -- with modern trends ready for action. 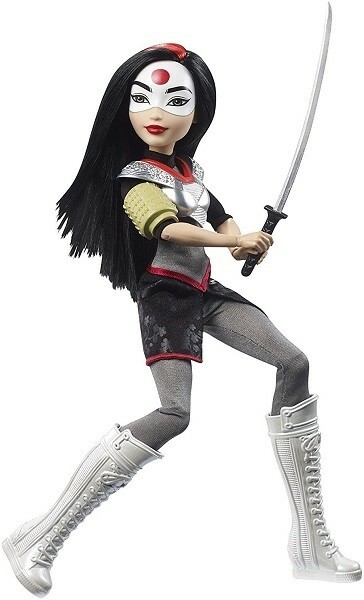 Accessories are equally awesome, including silvery body armor and a shiny katana sword.